Why Should You File For Unemployment? Local 47 members will soon be receiving the print Fall magazine in the mail. These print issues contain additional news not found in the public Overture Online, such as Resolutions to amend the bylaws, member status updates, and other announcements requiring due notice per the Bylaws. If you are a member in good standing and didn’t receive your print copy, email us or view it online by logging in to your member account at afm47.org. 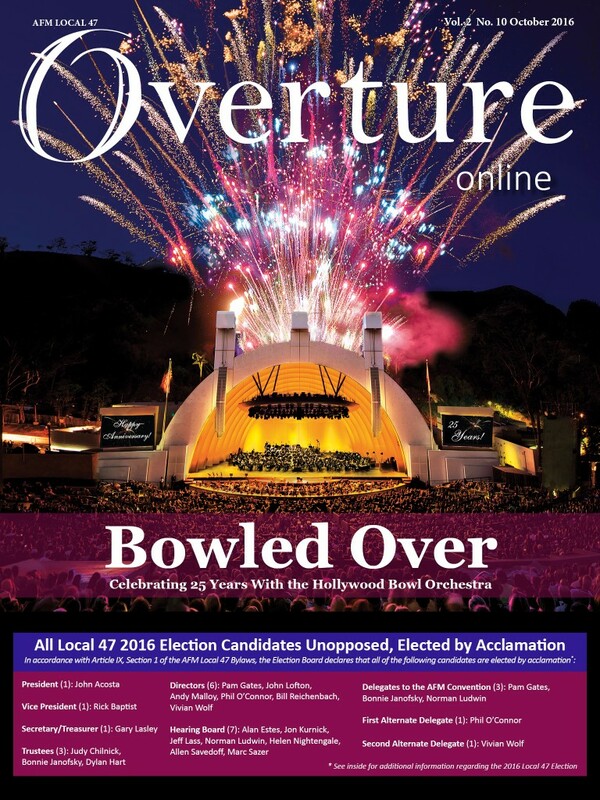 This entry was posted in All News, Overture Online and tagged HBO, Hollywood Bowl Orchestra, Local 47 General Election, Overture Online on September 27, 2016 by admin.